South Sea (Portsmouth) passenger and car ferry ticket prices, timetables, ticket reservations and information for ferries sailing from South Sea (Portsmouth) to Ryde. Compare all available South Sea (Portsmouth) ferry ticket prices in real time and book the cheapest available South Sea (Portsmouth) car and passenger ferry tickets sailing to and from South Sea (Portsmouth), Ryde with Hovertravel Ferry ferries online with instant confirmation. Book Southsea (Portsmouth) Ferry Tickets with Hovertravel Ferry for ferries sailing from South Sea (Portsmouth) to Ryde online in advance to enjoy the cheapest available ferry ticket price. The price you see is the price you pay. There are no hidden extras or surprises such as added fuel surcharges or booking fees and we do not charge you anything extra for paying with a Visa Electron card. The price we quote you for your selected South Sea (Portsmouth) passenger or car ferry ticket, onboard accommodation and vehicle type is all you will pay, and that's a promise. To obtain a Southsea (Portsmouth) ferry ticket price and book your ferry ticket securely online please use the real time ferry booking form on the left. You are also able to add a hotel at your destination, or anywhere else, to your ferry ticket when completing your ferry ticket reservation. Southsea, a small town and seaside resort located near to Portsmouth in the county of Hampshire, Southsea is situated at the southern end of Portsea Island and developed as a town around a castle built by Henry VIII in 1544. The town as it is today only began to develop during the early part of the 19th century, originally being called Croxton Town, but later taking on the name Southsea, after the castle. Early streets called Nickel Street and Silver Street, were known as the ‘mineral streets’, and were built for the skilled workers of the area. Later a middle-class area developed around Hampshire Terrace and King’s Terrace, though the town remained relatively small until the mid-19th century, when it began to expand more rapidly. St Jude’s church was built in 1851 and St Simon’s church in 1868, its piers Clarence Pier and South Parade Pier were constructed in 1861 and 1879 respectively. The first railway to the town opened in 1885, operating from East Southsea to Fratton. Much of Southsea was destroyed by heavy German bombing during the Second World War, it was largely rebuilt after the end of the war. Southsea is now a bustling town with a thriving commercial centre and a vibrant nightlife scene, it also has a considerable tourist industry and among its many attractions are Southsea Castle, the D-Day Museum, Southsea Model Village, Cumberland House (museum), the Blue Reef Aquarium and Canoe Lake. Hovertravel Ferries provides the fastest Isle of Wight ferry service across the Solent from South sea (Portsmouth) and is the world's longest running and only commercial hovercraft operator in Europe. The Hovertravel Passenger Ferry service takes you directly to the shore at Southsea or Ryde in just 10 minutes. Easy onward travel connections are available with their Hoverbus to Portsmouth, bus and train connections at Ryde plus large car parks at both terminals. Best Price Guarantee - We always offer you our lowest available Hovertravel Ferry passenger and car ferries ticket price to and from South Sea (Portsmouth). There are no hidden extras or surprises such as added fuel surcharges or booking fees and we also we do not charge you anything extra for paying with a Visa Electron card. The price we quote for your selected South Sea (Portsmouth) ferry ticket, onboard accommodation and vehicle type is all you will pay, and that's a promise! In the unlikely event you find the same all inclusive South Sea (Portsmouth) ferry ticket cheaper in the brochure of any other tour operator we promise that we will do our best to beat that price or offer you the choice of requesting a refund. 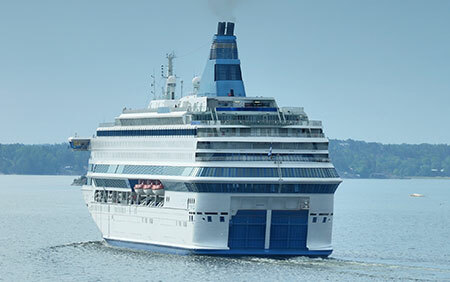 To book South Sea (Portsmouth) car and passenger ferry tickets please click here. At ferryto.co.uk you are able to obtain live South Sea (Portsmouth) ferry ticket prices, check availability and book car and passenger ferry tickets to and from South Sea (Portsmouth) at our lowest available ticket price. Ferryto.co.uk is part of the world's largest online ferry ticket distribution network providing the ability to book over 80 major European ferry operators including to South Sea (Portsmouth) and to over 1,200 other ferry routes throughout the UK, France, Spain, Ireland, Holland, Eastern Europe, the Mediterranean, the Baltic and North Africa.